DR SUSAN Lim’s $12 million bill for treating her Brunei patient over a six-month period was reasonable based on her past earnings, said a forensic accounting expert in a report last year. In his analysis, the accountant also benchmarked Dr Lim’s fees against that earned by a top British surgeon who also saw the same patient; the salary of Singapore’s Defence Minister, Dr Ng Eng Hen, before he joined the Government; and the amount made by top local earners in other professions. These findings were submitted by Mr Owain Stone of KordaMenthaNeo in a 31-page expert report for the Singapore Medical Council hearing against Dr Lim. The report was commissioned by Dr Lim, but Mr Stone states that he is aware that his ‘primary duty is to the disciplinary tribunal’ and not to the person who pays him. The report, dated Jan 20, 2010, concluded that Dr Lim’s actual charges amounted to $6,484 an hour. This was well below the rate of $12,800 if he were to use the 2006 revenue earned by her company, he concluded. Not only did she inflate medical bills from other doctors, top surgeon Susan Lim effectively double-charged a patient from the Brunei royal household, Senior Counsel Alvin Yeo alleged yesterday on Day 4 of her fight in the High Court against the Singapore Medical Council (SMC). He told the court this after five doctors said they did not think Dr Lim had marked up the fees for Pengiran Anak Hajah Damit, who was the younger sister of the Queen of Brunei and cousin of Sultan Hassanal Bolkiah. But, while the doctors had felt the invoices merely took into account her services, Mr Yeo, acting for the SMC, said she had been billing separately for her own services, too. For example, Dr Lim had billed Pengiran Damit S$25,500 in the name of Dr Tanny Chan for a medical conference, although the latter had issued no invoice, Mr Yeo said. Dr Lim then separately sent an additional S$345,400 invoice for her own participation in the conference, he added. In another instance, Dr Lim marked up a cardiologist’s bill by more than nine times to S$259,200 and then billed Pengiran Damit an extra S$13.8 million under her own name, Mr Yeo said. Dr Lim is fighting the SMC’s decision to reconvene investigations into such allegations of overcharging, with testimony from the likes of respiratory physician Chan Tiong Beng, who had said he “didn’t feel cheated or deceived” by Dr Lim because he “could not even give (Pengiran Damit) an injection without Dr Lim being there to hold her hand”. Dr Lim’s lawyer, Senior Counsel Lee Eng Beng, said the SMC “completely ignored” this evidence and unreasonably “insisted” on continuing its investigations. Earlier, the court had heard that, between March and August 2007, when Pengiran Damit died, Dr Lim’s bill came up to S$24.8 million. After two rounds of “discounts”, it became S$3.25 million. SINGAPORE – A bill for $400 was bumped up to $211,000. Another bill for $500 was marked up to $93,500. A bill for $3,000 became $285,100. This is how surgeon Dr Susan Lim allegedly charged her patient – the younger sister of the Queen of Brunei – for treatment given by other medical doctors, said lawyer Mr Alvin Yeo in the High Court yesterday, according to a report by The Straits Times today. Mr Yeo was representing the Singapore Medical Council (SMC) which had decided to appoint a disciplinary committee to investigate an accusation by the Ministry of Health (MOH) that Dr Lim that overcharged her patient. The patient, who suffered from breast cancer, was treated by Dr Lim from 2001 until she died in August 2007.Dr Lim’s lawyer, Senior Counsel Lee Eng Beng, argued that Dr Lim had told her patient that it would cost between $100,000 – $200,000 a day for the intensive treatment that the woman wanted. Despite this, the patient insisted on having Dr Lim treat her condition. Mr Lee argued that there could be no overcharging because the fees had already been agreed on. The patient was allegedly very demanding, refusing treatment by other doctors if Dr Lim was not there, said Mr Lee in court. Even procedures that could have been performed by nurses were sometimes refused by the patient, unless Dr Lim was present. The patient was extremely dependent on Dr Lim, to the extent that the surgeon once had to leave her own hospital bed where she was recovering from a major eye operation in order to attend to her, said Mr Lee. Dr Lim’s lawyer pointed out that she could have lost her eyesight by doing so. The patient’s original bill was more than $20 million, but was reduced by Dr Lim to less than $10 million, reported The Straits Times in an earlier report. Dr Susan Lim (right) charged patient linked to Brunei?s royal household that amount for 7 months of treatment. — ST FILE PHOTOSURGEON Susan Lim treated a patient linked to the Brunei palace for seven months in 2007. Her bill: $24.8 million. Singapore’s Ministry of Health was upset when it learnt about the amount, and that led to it filing charges against the well-known doctor. That was the claim her lawyers made in the Supreme Court on Tuesday. They also noted that Dr Lim later reduced the bill twice, although it has yet to be paid. The bill is at the heart of a case between Dr Lim and the Singapore Medical Council (SMC). She is fighting the SMC’s decision to appoint a second disciplinary committee to investigate an accusation by the Health Ministry that she overcharged the patient. On Tuesday was the first time that it came out into the open that the patient, who had breast cancer and later died, was linked to the Brunei royal household. DR SUSAN Lim, a surgeon in private practice, looked after a patient from Brunei for some years. The woman, linked to the Brunei palace, died in August 2007. Her medical bills for that year have not been paid and were at the centre of a hearing by the Singapore Medical Council (SMC) over claims that Dr Lim had overcharged her patient. The complainant against Dr Lim is not the patient’s family, but Singapore’s Ministry of Health. An SMC disciplinary committee made up of three public sector doctors was set up to hear the case. The hearing was held over several periods last year. In late May, one of the committee members, SingHealth group chief operating officer Wong Yue Sie, died from a stroke. He was replaced by KK Hospital paediatric surgeon Anette Jacobsen. She was sent the relevant documents, with more than 10,000 pages of transcript, about two weeks before the next hearing, scheduled for three days from July 29. But barely an hour after the hearing began, the panel chairman said they had no further questions and had reached a decision. Dr Lim’s lawyers protested that they had not been heard. While both parties had sent in written submissions, the three days were meant for them to present their case verbally. The committee then agreed to hear them out. After a few hours, Dr Lim’s lawyers asked the committee for the decision it had reached. It refused to say. Dr Lim’s lawyers then suggested it had pre-judged the case and should step down. The SMC’s lawyers did not object. The committee stepped down without giving its verdict. Two months later, in September, Dr Lim was told a second committee had been set up. Her lawyers are now asking Justice Philip Pillai to quash the SMC’s move to set up a second committee. 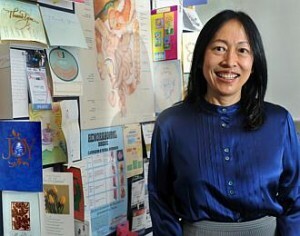 As she became the subject of disciplinary proceedings launched by the Singapore Medical Council (SMC), prominent surgeon Susan Lim (picture) wrote to the Ministry of Foreign Affairs (MFA) – urging it to intervene in the SMC’s decision to investigate a complaint of over-charging against her. Otherwise, she would disclose “sensitive information” about the patient – a member of the royal family in Brunei – her family and the Brunei Government, “in order for me to defend myself properly”. The letter – dated March 1 last year and addressed to Minister for Foreign Affairs George Yeo – and its contents were revealed in the High Court yesterday – the last day of the high-profile six-day hearing in which Dr Lim is fighting to halt the SMC’s inquiry. In it, Dr Lim wrote that “some of the facts that may cast a negative light on Brunei” include the medical condition of the patient, who is the cousin of Brunei’s Sultan and sister of his queen; the “apparently inconsistent relationship between the Ministry of Health, Brunei, the Royal Family, and the patient’s family”; and the “extraordinary and often unreasonable demands placed on me by the patient and the Royal Family, including significant out-of-pocket expenses I was made to bear … including the cost of a private air-charter to transport the patient to Brunei which I personally paid for”. Dr Lim said in her letter that the matter would have bearing on relations between Brunei and Singapore. But her request was rejected by the MFA, which replied in a letter dated March 16 last year that they would not interfere in the legal process. Dr Lim also wrote to the chairman of the SMC’s second disciplinary committee to look into the complaint against her. The SMC’s lawyer, Senior Counsel Alvin Yeo, told the court yesterday that the letter to the chairman sought to raise “ridiculous assertions of purported personal or professional conflict of interest” against the chairman. Dr Lim faces 94 charges levelled by the Ministry of Health for professional misconduct. Her bills amounted to S$24.8 million for care rendered in 2007 to the patient, who has since died. The court heard earlier that Dr Lim had allegedly marked up bills of third-party doctors by as much as 500 times – allegations which were described yesterday as “false and mischievous” by Dr Lim’s lawyer, Senior Counsel Lee Eng Beng. Mr Lee argued that the reading of the bills were taken out of context and they must also include other services provided at the time. Mr Lee also questioned the SMC’s lack of a fee benchmark to support a case of over-charging. The court heard yesterday that Dr Lim’s medical business was valued at between S$85 million and S$103 million in 2006. In 2007, she drew an annual income of more than S$3 million. Reiterating that a fee agreement existed between Dr Lim and the patient, Mr Lee called for a quashing order against the SMC’s decision. He added, however, that if the court’s judgment is to go ahead with the inquiry, he would seek a fair process for Dr Lim. High Court Judge Philip Pillai said that he was reserving judgment till a later date. Editor’s Notes: The episode is getting more and more dramatic and rival the soap opera, stay tune! SingHealth Group chief executive Tan Ser Kiat, who had chaired a Singapore Medical Council (SMC) disciplinary panel investigating Dr Susan Lim for overcharging, has refuted Dr Lim’s allegations that he had “personal and professional conflicts of interest” and also denied that he had ever tried to date her. Dr Lim is seeking to stop the SMC’s disciplinary proceedings against her. The High Court reserved judgment on Monday, after a six-day hearing. The Straits Times reported yesterday on the content of letters sent by Dr Lim’s lawyers to Professor Tan. The letters were dated Feb 14 and were also submitted to the court on the same day. Among other things, Dr Lim’s lawyers claimed that Prof Tan had tried to woo her some 30 years ago – this included meeting Dr Lim and her parents and sending her flowers – but she had rejected him. Interaction between the pair has been “awkward ever since”, Dr Lim’s lawyers claimed. But this may be just one side of the story. Yesterday, a letter carrying Prof Tan’s responses – which had also been submitted to the court as evidence – was brought to the media’s attention. In his letter – dated Feb 17 – to Dr Lim’s lawyers, Prof Tan said he had “never dated, nor tried to date” Dr Lim. Prof Tan said he knew Dr Lim “casually as a fellow doctor” working in the Singapore General Hospital (SGH) in the early 1980s. He recalled that, on one occasion, Dr Lim invited him “together with a number of doctors from the public and private sector to her home for a large party – possibly a birthday celebration”. He also said that he and Dr Lim “continue to meet on social occasions once or twice a year” and they have “always interacted with each other without awkwardness as fellow medical professionals”. In their letters to him, Dr Lim’s lawyers also claimed that Prof Tan’s job as chief executive of the SingHealth Group meant he had links to the Ministry of Health (MOH), which brought the complaint against Dr Lim. Prof Tan’s alleged dealings with Dr Affendy, Brunei’s director-general of medical services, were also highlighted. On his alleged dealings with Dr Affendy, Prof Tan said that an agreement signed between the pair – for the SGH’s project division to provide consultancy services to the Brunei Ministry of Health – was for a “one-off project”, which commenced in October 2006 and was completed in July 2008. He reiterated that he had no dealings with the Brunei Ministry of Health or Dr Affendy before or after signing the agreement.